"He's not what we could consider, in our mind's eye, the typical overdose." The family of a Burnaby, B.C. 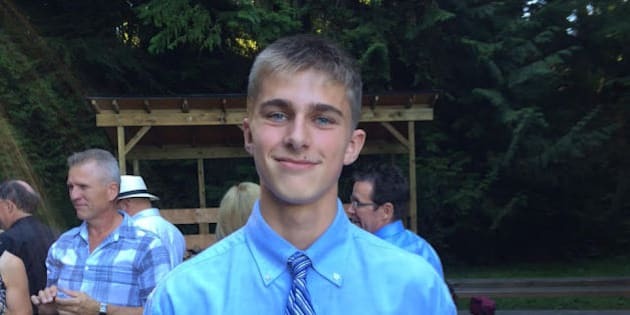 teen who died after a suspected fentanyl overdose is speaking out, hoping to prevent other needless deaths. Jack Bodie, 17, and his 16-year-old friend were found passed out in an East Vancouver park on Friday night, and were rushed to hospital. Bodie was placed on life support. The friend has been released, but Bodie died on Sunday. The teen's parents told Global News that their "bombastic, charismatic" son was "full of life," with a bright future ahead. "He's not what we could consider, in our mind's eye, the typical overdose. He's a young man who took a pill and fell asleep on a park bench," said Mark Bodie, Jack's dad. Police believe the boys consumed fake Oxycontin pills known as "fake 80s." The Vancouver area has seen four fentanyl-related deaths in the last two weeks. In North Vancouver, a 31-year-old man died Friday after a suspected overdose. Last month, Hardy and Amelia Leighton died of a fentanyl overdose in North Vancouver. The pair left behind a two-year-old son. Fentanyl is up to 100 times more powerful than morphine, and is often secretly mixed with other street drugs to make them more potent, said RCMP. Police say the drug was a factor in one-quarter of about 300 overdose deaths in B.C. last year, reported The Province. But provincial health officer Dr. Perry Kendall said it's hard to trace where the drugs are coming from. "We don't know how widespread it is," Kendall told the newspaper. "What we do know is it is turning up more and more." Bodie's grieving parents are sharing Jack's story in an effort to prevent anymore overdose deaths. "If it's a street drug, you don't know what's in them. You have no idea," Jack's mom, Barb, told Global. "The people who are taking it, their friends need to tell them it's not the right thing," added Mark.